Replacement suspension ropes for 2 point birds nest or basket swing complete with M10 stainless steel shackle. 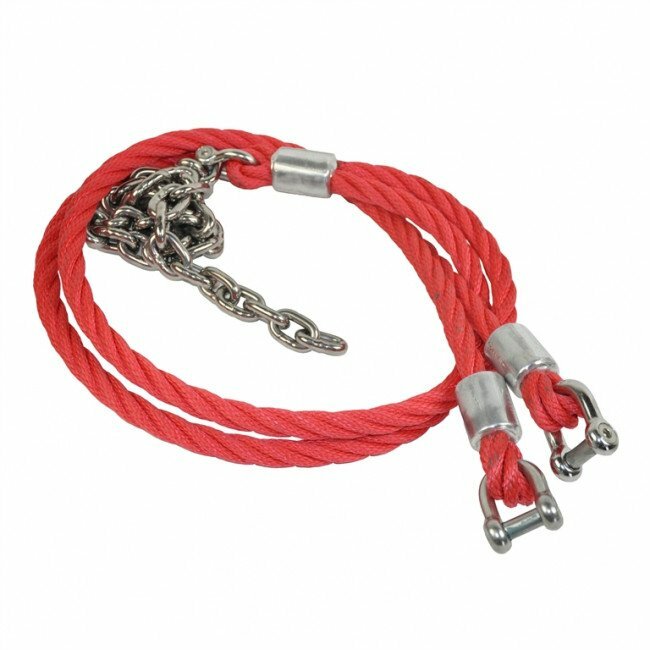 Our replacement 2 point birds nest swing seat suspension ropes are manufactured in 16mm steelcore combination rope including a 6mm stainless steel tail with M10 stainless steel seat connection shackle. Supplied to suit a standard 2.400m high frame height.